Charity Evans wants nothing more than to leave her troubled past behind and start afresh. 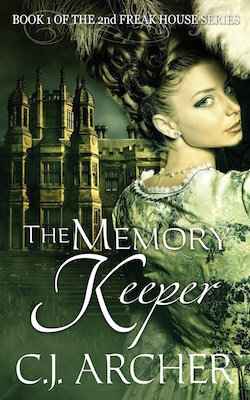 The teacher at a London school for orphans is encouraged to have her memories blocked by hypnotist Samuel Gladstone, but when they experience visions with an unknown third person, they realize the past can never be truly erased. And now that past is returning to haunt Charity all over again. Samuel is determined to help her, but how can a woman who trusts no man trust a hypnotist? And what dark secrets changed the charming gentleman into a desperate man who’ll do anything to keep those secrets buried?